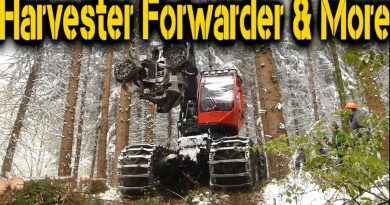 A Komatsu 855.1 with a remote controlled 8 tonn winch and rc drive. 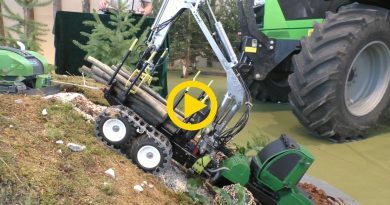 This video shows the principle of it working. 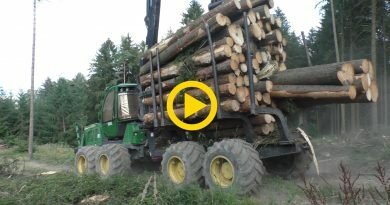 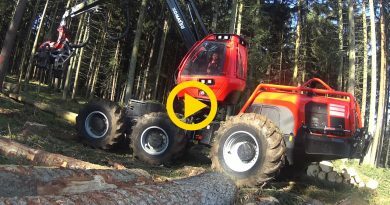 It is used for winching logs to the machine if bigger logging tracks intervals are used. 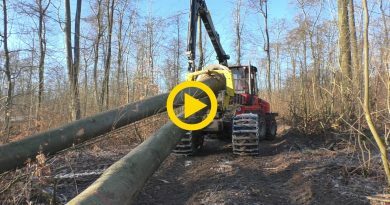 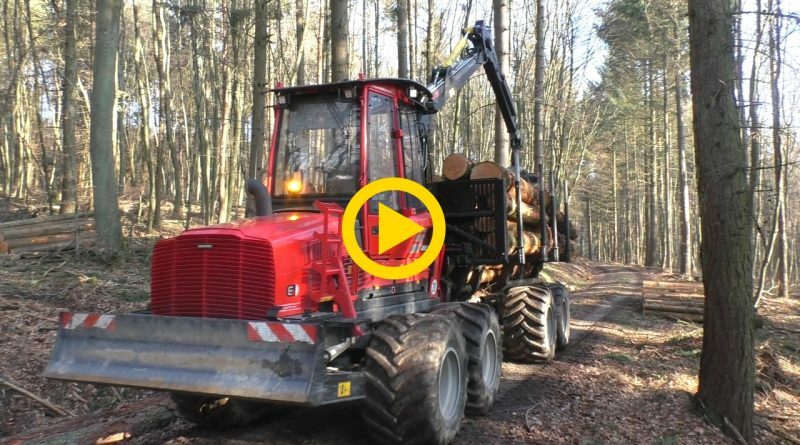 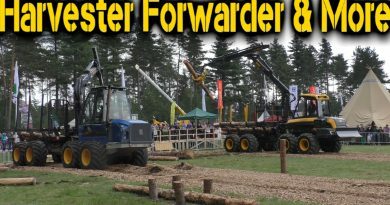 The modifications were made by Komatsu Forest Gmbh, Germany.